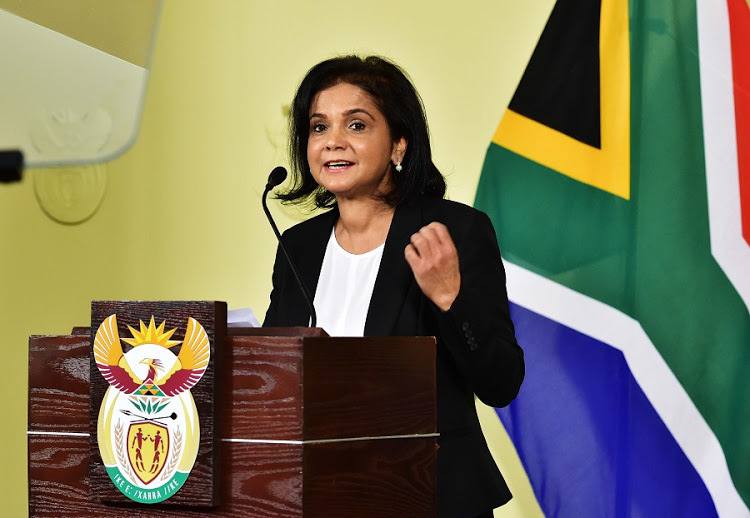 The National Director of Public Prosecutions Advocate Shamila Batohi has appointed top prosecutors to focus and investigate possible corruption coming out of the State of Capture Commission. This is part of the overall restructuring of the prosecuting authority. The NPA shake-up comes just over two months after Advocate Batohi took over the reins. Among her new appointments are legal minds that went head-to-head with her for the office she now occupies. Advocate Andrea Johnson has been put in charge of coordinating all prosecutions from the on-going Zondo Commission and Advocate Matric Luphondo has been appointed to follow up testimony and leads from the commission. “You will know that the president announced the investigative directorate, proclaimed it, now what needs to happen is that it needs to be really established, be staffed, get the people to work on the directorate, that’s what the national director will announce in due course, processes are underway. But in the meantime there has to be that communication between the NPA and the Zondo Commission in a structured way. So Advocate Lupondo is appointed to watching brief and Advocate Andrea Johnson is national coordinator to put together all the cases that relate to corruption,” says NPA Head of Communication Bulelwa Makeke. It will be an episode of déjà vu for Willie Hofmeyr who is back at the helm of the Asset Forfeiture Unit. He was unceremoniously removed from the post in 2015 by former NPA head advocate Shaun Abrahams. “Mr Hofmeyr is a Deputy National Director who is known for his skill, expertise and experience in Asset Forfeiture. He is credited for forming the Asset Forfeiture, so there is a wealth of knowledge that seats with him,” says Makeke. The NPA has confirmed Batohi is working hard to find a suitable candidate to head up the soon-to-be established corruption fighting directorate in the NPA. There could be more changes in store for the NPA, this is after President Cyril Ramaphosa has received the final Mokgoro Inquiry Report into fitness to hold office of suspended senior NPA Advocates Nomgcobo Jiba and Lawrance Mrwebi. The post NPA appoints prosecutors to investigate corruption in State Capture appeared first on SABC News – Breaking news, special reports, world, business, sport coverage of all South African current events. Africa's news leader.. PREVIOUS POST Previous post: Joburg’s newest gourmet rotisserie is a roasting revolution!